Can you add how you increase the space allocated for the swap file? I have 6x 280x rigs and just lowered my intensity, so this could really help me out. 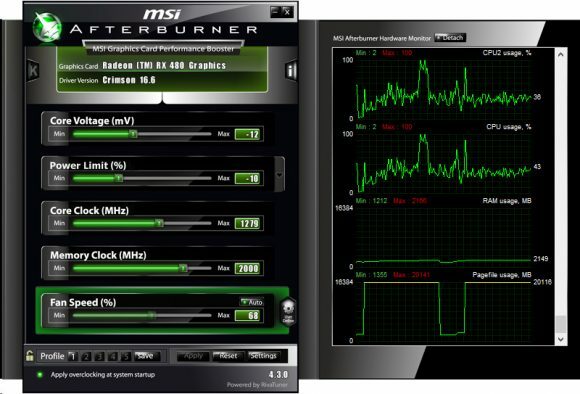 280X need to run at lower intensity not because of lack of system memory, but because of less video memory, the requirements for the GPU video memory have increased in the latest release and higher intensity can be used for video cards with 4GB VRAM or more. I specified -i 8 for highest intensity for my 8GB Sapphire Nitro+ RX 470 cards but the log says intensity 6 was selected. Anyone else see this happen to them? It does say ASM was selected as the mining algorithm which is the most efficient. I’m getting about 280 H/s on my stock cards.